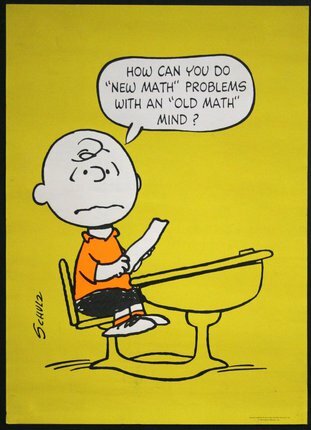 Charlie Brown - Peanuts - How Can You do "New Math" Problems with an "Old Math" Mind? Springbok Editions. Some pinholes, can be restored.